Abraham saw the lot, David prepared the blueprint, Solomon constructed it, Babylon destroyed it, God’s people rebuilt it, Herod remodeled it, and Rome burned it to the ground. Jesus taught in it, He threw money changers out of it, He entered it, time after time, through the Golden Gates and will again. He was mocked, beaten and crucified within view of it, He rose and walked away from it, and He prophesied it would never stand again until His return. Before the temples of Solomon and Zerubbabel stood on Mount Moriah, it was simply a hill used for threshing wheat by the local farmers. Hardly a place to merit any notice. 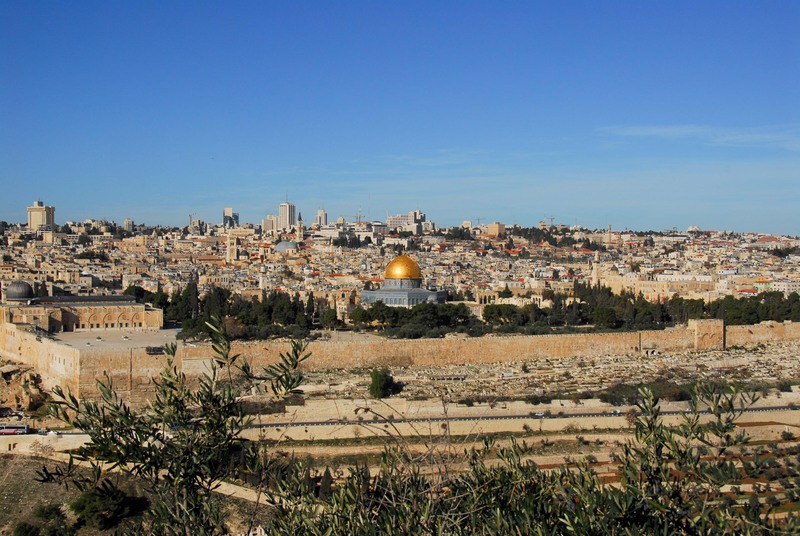 However today, the Temple Mount is the most precious piece of real estate in the world. It is the center of three religions, the focus of numerous ancient and modern claims of ownership, constantly in the global spotlight and at the heart of the middle east conflict. 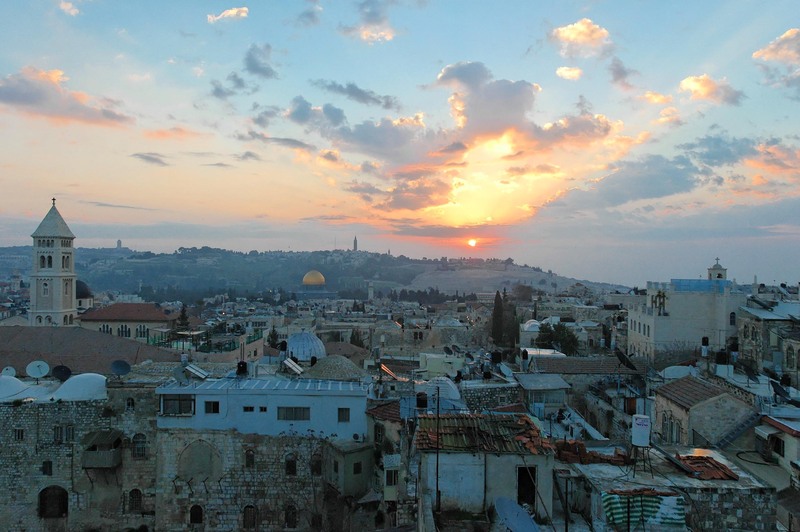 Ironically, the golden shrine to Muhammad that sits on its summit has become the image of God’s Holy City of Jerusalem. 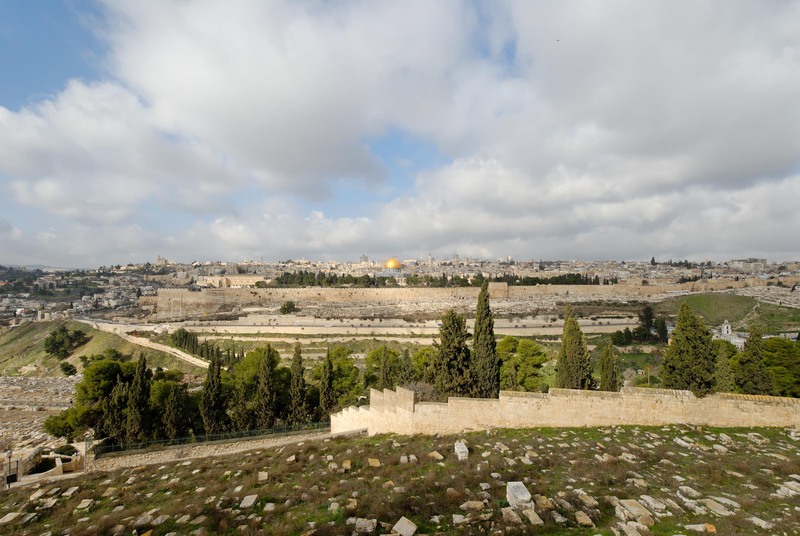 How did this ordinary hill and city become holy? Certainly not by military strategy or popular vote, it does not boast a harbor or port, it is watered by a spring….not a Euphrates River, it isn’t a Petra-like fortress or an impenetrable Masada. It is above sea level, but that’s its strategic claim to fame! It is holy because God chose it, it’s as simple as that. It May Be Holy But No Praying! 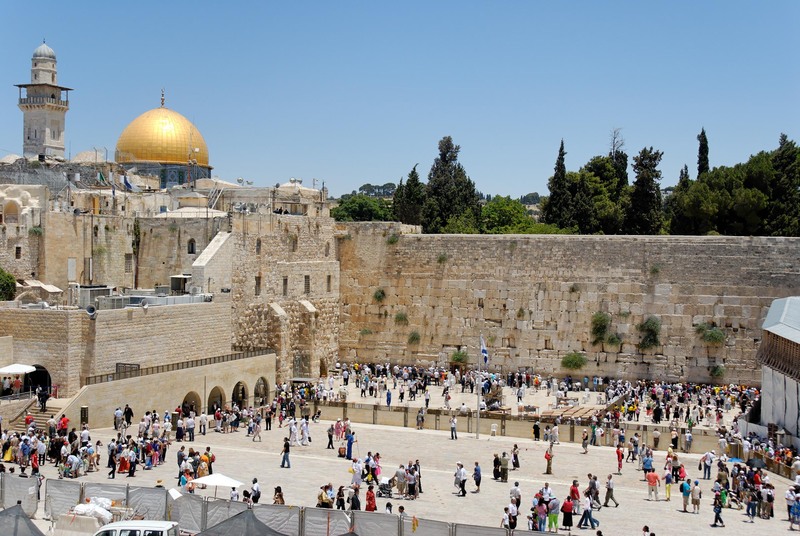 Today non-Jewish visitors and tourists can walk on the Temple Mount, home to two Muslim Mosques, but they cannot pray, bring a Bible or spend time talking about what was….nevertheless, it is a walk into time, Biblical time and Christ’s time on earth. 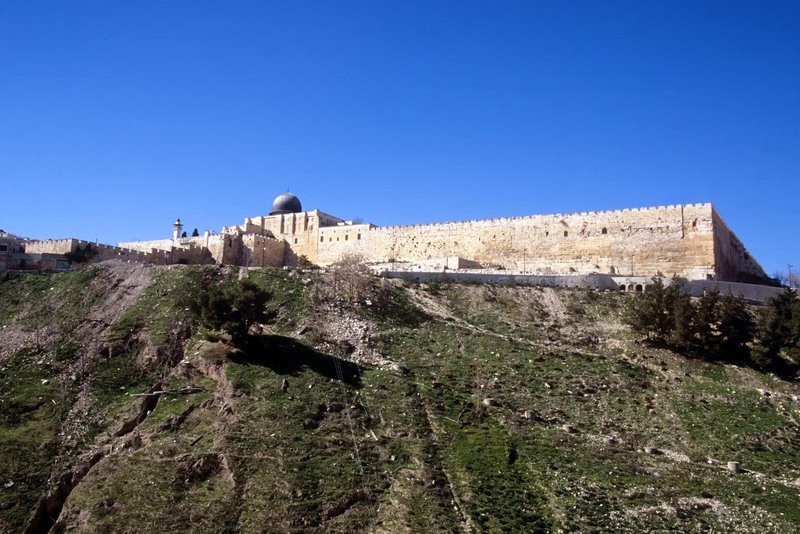 You can stand near the pinnacle where Satan tempted Christ and look down into the Kidron Valley….a Long Way Down! 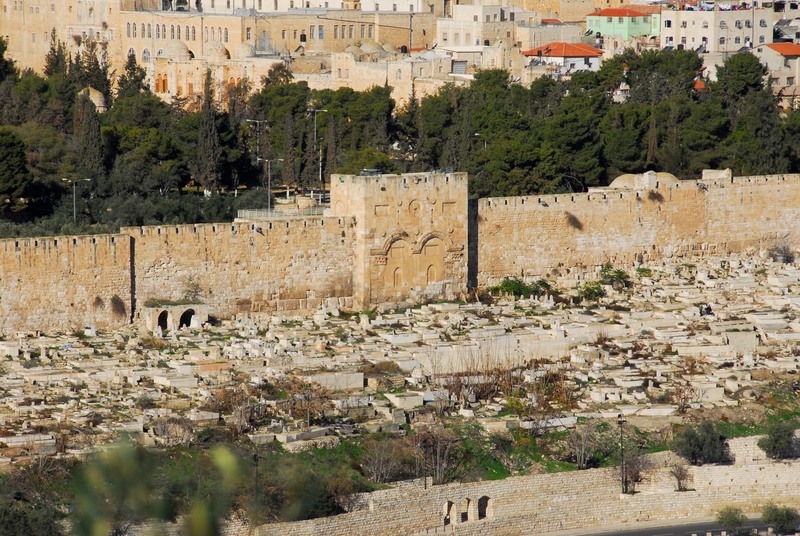 You can view the bricked up Golden Gates that Christ will walk through….no amount of stone or Muslim graves will hamper His return. For Jews, the closest they can come to what was God’s Holy Temple is the Western Wall, a 187 foot exposed section of an ancient retaining wall along the western flank of the Temple Mount also known as the “Wailing Wall.” This wall, constructed around 19 BC by Herod the Great to support the extensive renovations made to the Temple Mount, faces a large plaza and remains a Jewish Holy site set aside for prayer. The fact that this ancient threshing ground, where chaff and wheat were separated, remains a place fraught with religion and politics really doesn’t matter in the long run. God chose Mount Moriah for His holy place and when He chooses, that place or person stays chosen! He still has His eye on it, He died and rose in its proximity, and He promises that He will return again and separate the chaff from the wheat, banish evil and keep for eternity, those who have chosen Him. Easter assures us of that and more!